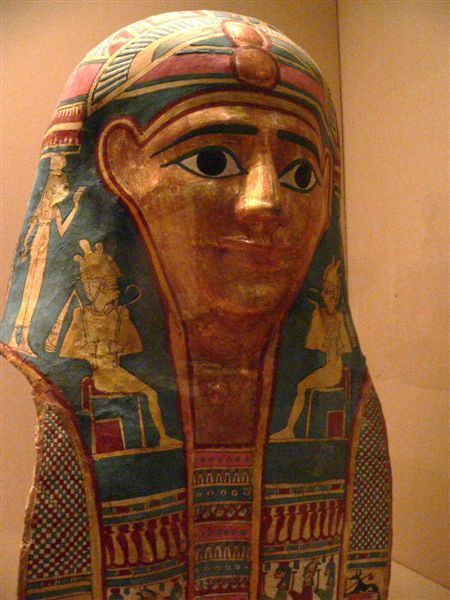 From mummified remains on display at museums around the globe to popular movies produced by Hollywood, the world has long been fascinated with the world of Ancient Egypt. The civilization commonly referred to today as Ancient Egypt began more than 5,000 years ago with the unification of independent city-states in the land’s north and south into one kingdom, ruled by a pharaoh. This civilization started around 3150 BC and lasted until 332 BC when Alexander the Great conquered the lands. During the rule of the royal dynasties that emerged and ruled Egypt for three millennia, the ancient Egyptians built many monuments such as statues, pyramids and temples. Ancient Egyptians believed that temples were the homes of the gods or goddess they were dedicated to and much detail was put into the construction. Many of these temples have survived the test of time and are still standing today and can be toured by travelers in Egypt. Here’s a list of the most famous temples to visit during your trip to Egypt. Perhaps no Egyptian monument has as recognizable of a name as the Luxor Temple. 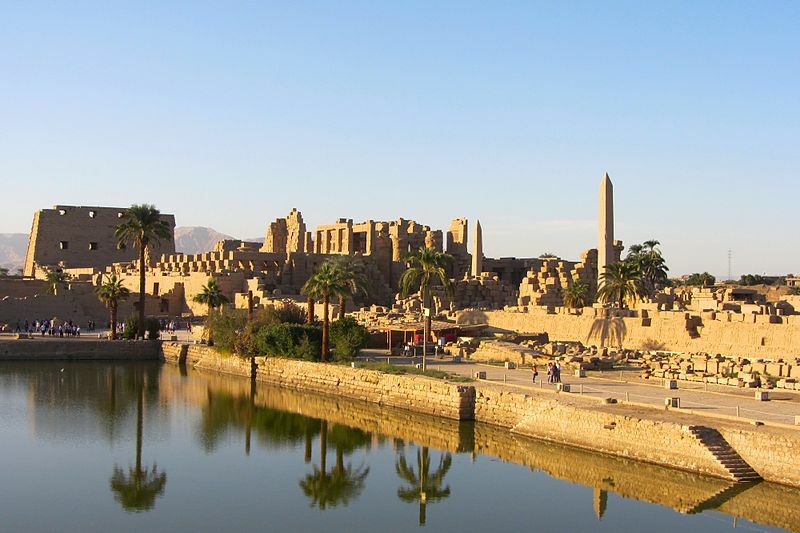 Today Luxor is a modern city built on the grounds of the ancient capital city of Thebes. Built in 1400 BC during a reign known as the New Kingdom, the temple is dedicated to three Egyptian gods – Amum, Mut and Chons. In ancient times, the city of Thebes was home to the Feast of Opet, an annual festival during which statues of these three gods were paraded along the avenue of sphinxes to the temple of Luxor to celebrate rebirth. During this festival it was also common to hold a re-coronation ceremony for the pharaoh. Also found in the city of Luxor is the Karnak Temple complex, Egypt’s second most visited historical sight behind the Giza pyramids. The largest ancient religious monument in the world, the complex represents the combined achievements of many generations of Ancient Egyptian builders. This vast complex consists of four main temples, only one of which, the Precinct of Amun-Ra, is open to visitors. The most famous section of this Precinct is the Hypostyle Hall, a large hall with 134 massive columns arranged in 16 rows. On a whole, the Karnak Temple complex is unique due to its size as well as the length of time to build it. 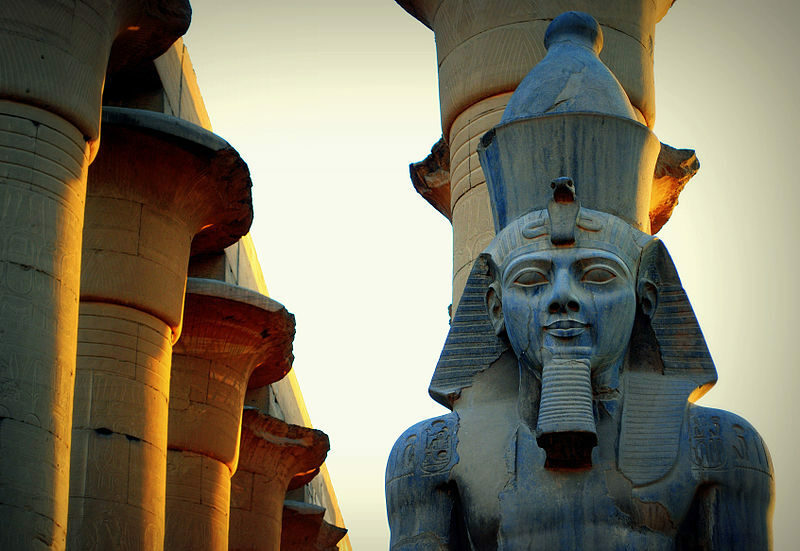 Indeed, construction took place over a period of nearly 2,000 years and almost 30 pharaohs contributed to its assembly. 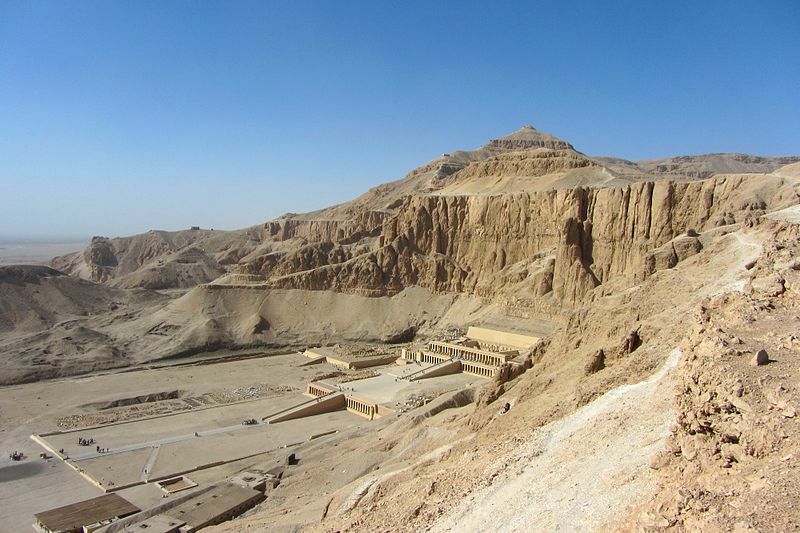 The Mortuary Temple of Queen Hatshepsut is the final resting place of a famous queen who ruled Egypt from 1479 to 1458 BC. Queen Hatshepsut, who ruled longer than any other woman in this ancient world, is regarded as one of the most successful pharaohs of Egypt as well as one of the most prominent female monarchs throughout history. Her temple stands on the west bank of the Nile River, beneath the steep and impressive cliffs of Dier el-Bahari, a large complex of mortuary temples. The Mortuary Temple of Queen Hatshepsut is the center point of this impressive complex and marked by a series of tall pillars. The temple was designed to be a place for Egyptians to worship the deceased queen as well as the sun god Amon-Ra. The temple, the monument in Egyptian architecture that most closely resembles a classical style, has terraces that are connected to the lower ground by long ramps. In the distant past, this area was home to breathtaking gardens. 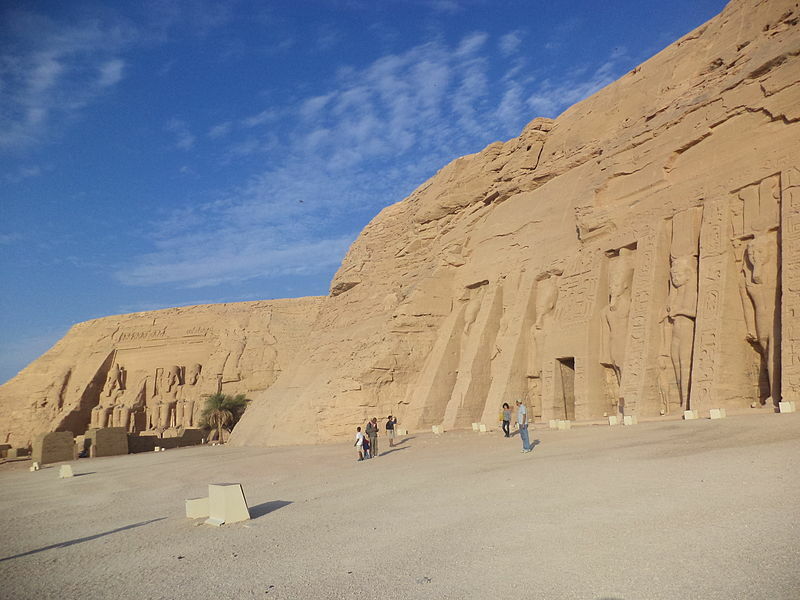 The massive rock Abu Simbel temples are dedicated to Pharaoh Ramesses II and his queen Nefertari. Construction was finished in 1244 BC on these twin temples that commemorate the pharaoh’s victory in the Battle of Kadesh. 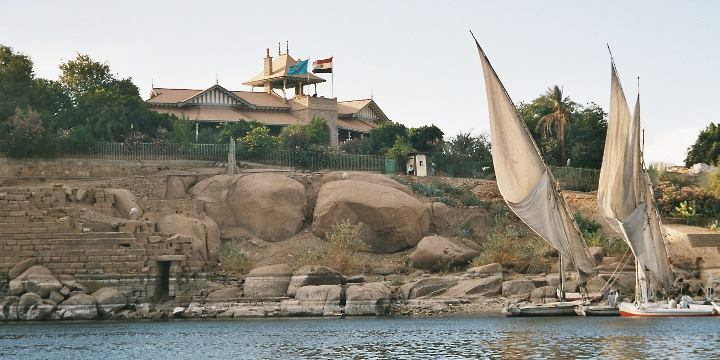 In 1968 the temples were relocated from their original mountainside location to a village near Aswan, a modern city popular with tourists for its markets, to avoid being drowned by the water of Lake Nasser. Following the construction of a new damn in the South of Egypt, this artificial lake swelled and threatened to destroy the temples. It’s clear to see that Egypt is seeping in history, home to an incredible breadth of historical monuments and temples. The more and more I learn about this fascinating country and its historical sites, the more I am thrilled by the possibility of visiting. I hope someday soon I get to visit Egypt and take in the beauty of the landscapes, culture and history in person. Travelers to Egypt will need a Visa, but did you know you can obtain one online? The Egypt Online Visa, or Egypt e-Visa, is a new electronic travel authorization system for citizens of eligible countries wishing to travel to Egypt for tourism. An e-Visa for Egypt can be obtained through an online application without the need to visit the embassy. The new electronic visa system was implemented by the Government of Egypt. The Egypt e-Visa aims to simplify the process for visitors to Egypt to obtain the correct travel authorization. The online Egyptian visa program will not only accelerate the process for visa applications prior to travelling but also improve the system of customs and border control upon arrival in Egypt. HotelsCombined offers the best rates on hotels world-wide. Find and book hotels in Egypt below! Note: This post was sponsored by the Egypt Tourism Authority.